The Great Recession and its aftershocks have been eyeopeners for Americans, as few people alive today have experienced anything quite like it. Aspects of the economy that we may have taken for granted in the past now seem like shakier propositions than we previously imagined. It is all too easy for financial paralysis to set in when the economy doesn’t seem completely trustworthy, and we have seen that happen. However, it has been over four years now since the Wall Street meltdown, and we have survived two presidential elections in the interim. Domestic employment is improving, the stock market has climbed to near pre-recession levels, consumer confidence is up, and the housing market is showing steady improvement as time goes on. American confidence in the future is gradually returning, and the indications are that we are putting this scary episode in American history behind us. The baby boom generation was definitely caught off guard. Just when Boomers were about to ease into retirement, stock portfolios and retirement accounts took a serious hit and some retirement plans were shelved for a time. Once again, though, these accounts have largely recovered and active Boomers are making new retirement plans. However, the lower yields and tighter credit of the “new normal” intensifies the focus on achieving high value in today’s decision-making: fewer dollars must be spent for the greatest benefit. Purchasing today is more about quality experiences and relationships and less about the simple acquisition of material goods. Considering the value proposition, Northwest Montana represents huge bang-for-the-buck, whether for the active retiree, or any age. A day spent in Glacier Park hiking the beautiful trails among the wide variety of wildlife is an incomparable gift, and not many places in the country offer such natural wonder. The range of outdoor activities here is mind-boggling; in addition to hiking, there is a long list that includes golf, river rafting, big-game and bird hunting, downhill and cross-country skiing, fishing, kayaking in rivers and lakes, boating, horse sports, sailing, tennis, mountain biking. To cap all this off, evenings in the Flathead offer fine dining, theater, music, film, dance, and plenty of pubs to wind up the day. Really, how much better can it get? One of the unanticipated side effects of climate change is that retirees now look further north than the Sun Belt for a place to land. Northwest Montana’s winters, normally mild anyway, seem to grow steadily shorter and more comfortable each year. For those considering the Flathead as their future home, real estate values are extremely good now, as pricing is reasonable and the inventory is sizable. Besides land cost, construction costs of materials and labor are at their lowest levels in a long time if a new custom home is in the picture. Lenders are actively catering to the market and interest rates are almost laughably affordable. Architects’ backlogs are short and the design process is more concise than ever. 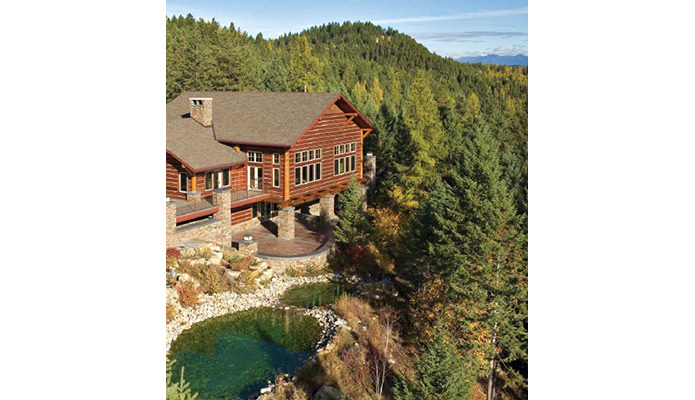 It would be difficult to imagine a more attractive time to invest in a new life in the Flathead Valley. To make the move from a distance to an area such as ours can seem a daunting undertaking, whether you have done it before or not. However, it can be a very enjoyable transition if you assemble the right team to make it happen. We are fortunate here to have a healthy cross-section of talented knowledgeable people to assist with every step of the process. Due to the magnetism of the Flathead area, there are extremely highfunctioning realtors, architects, interior designers, builders, and land planners who chose to live here years ago and know the area and its possibilities well. Come to the Flathead, select one of these experts that you like and trust and have them help you put a group together to make your retirement dream a reality. It’s not that difficult and is so worth it—every day in northwest Montana is a new adventure.